I am looking for further information on VITAS I and II. Can someone give me a timeline on both VITAS pandemics? If you have a copy of either the SR2 or SR3 core book its in there. How detailed do you need? VITAS first hits in 2010, but takes a little while to spread around the whole world. The first time around it kills 25% of the world's populaiton - in some places more, in some places less. VITAS II hits in 2022, after Goblinization. The Lagos section in Feral Cities talks about them both, as does the Wiki. EDIT: who was patient zero? Where did the pandemic start from? Oh dreck, not even the time to get out of the economical crisis that we get hit by a pandemic diseas with a mortality rate of the 25%? I just hope it wipes out our (italian) political class in the process. I think it originated in India. Not sure exactly where that reference is, but I'm pretty sure its in the canon somewhere. Everything I've read says that the epidemics started first in major developing cities (New Deli first, then Mexico City, Peking, etc.) From there it spread mainly through the developing worlds (India to the orient and the middle east, Mexico to Central America and South America). Developed countries were not hit as hard as countries like India but in both waves over 1/4 of the world's population was wiped out. Humans and Elves were the hardest hit (maybe a reason why there are fewer elves then any other metatype). Dwarves and Trolls were the least effected (though they could still be carriers). Where in canon does it state this? Most of the info came from the Wiki so it isnt' cannon. Cannon only states (from SR2 and SR3 core books) that VITAS hit Mexico the hardest in North America (one of the things that caused the colapse of Mexico and the rise of Azland), and Inda the hardest in Asia. There are some statistics in Runner Companion (but like any statistic in Shadowrun there's always the problem of the SINless), but it's stated that elves are the tird most common metatype, after humans (most common) and orks (second most common). I'm sorry I thought you were talking about VITAS not elves in general. Look in all the Shadows books (SoNA, SoE, SoA), elves are make up the smallest population group around the world (with the exception of the elven nations). True, I remember that elves had always very low percentages, yet RC states that they are the tird most common metatype. Maybe the elven nations bump this up alot? That would be my take on it. Elves may not be quite so common in the standard sprawl, but taking the two Tirs, Pomoyra (sp? ), and the scattered elven enclaves, it probably bumps the global ratio up quite a bit. So I have to go in SR2 and SR3 for more information? No other sources of information except for some vagueness? Yeah, it's all pretty vague, purposefully so I'd imagine. Patient zero, how it originated, the toxicology, etc. etc. have never been thoroughly detailed in any way. The Indian subcontinent entry in Shadows of Asia has a good bit on how the staggering loss of life from VITAS affected their view of the world and reshaped their priorities as a nation. In summary, it was a deadly sickness that hit in two waves (2010 and 2022), it decimated areas where there was inadequate healthcare and there were rumors of a VITAS III (per one of the Threats books) that never emerged. However you want to approach VITAS is as legit of a view as anyone's. ah, no. my memory was corrupted by time, sadly. still, if someone is toying with a upgraded version of ebola in a lab, why not vitas? Ebola is minor. Try the Spanish flu. If I was creating a bio weapon I don't think I would want it to spread too fast as it may spread back to me. I think the best bio weapon would be one that is tailored to not mutate easily, spreads fairly quickly, has a low mortality rate but high incapacitate rate (lots of sick people that can't do anything), and takes effect as soon as possible. I believe it was in the TT book that they were discussing weaponizing VITAS. Or rather, whether VIATS was already a weapon or something. Inversely: inherent high mortality rate, mutates (bacterial), spreads through aerosolized infective droplets - Yersinia pestis? Taking bets on how long it takes the NSA to start assign somebody to read this conversation. The point of bioweapons is not to kill, but to incapacitate. In warfare, you want as many enemy soldiers in hospitals and medical tents as is possible, eating up resources and making the treatment of wounded that much more difficult. Most importantly, those that can still fight will be fighting at reduced effectiveness. Ideally, it will be slow incubating and of low lethality, so it will spread through the ranks without triggering quarantine procedures, thus to create a maximum amount of incapacitation at one time. Then you can just walk onto the enemy base while they're all hugging their toilets and take over without firing a shot. A bloodless victory, but a messy one.
" I don't get it. Why do all these folks talk about viruses wit such awe? Have they not seen what NeoNet is developing on the Nanotech front? Imagine something the size of a virus that takes orders. Something that can report back. With things like this we have to stand up and post before our world is destroyed"
"Sad news today as a Dwarven Shaman was found dead today. The criminal known as BlueMax could apparently no longer take his evil ways and decided to end his life. Lone Star says the suspect fired 6 rounds from his PJSS rifle into his own back before succumbing to his wounds." I recall that elves were always #3 in population behind humans and orks. Dwarfs and trolls have always been the ones that rarely hit the double digit percentiles. ...the Nanotech front... Imagine something the size of a virus that takes orders. Nanites would likely be considerably larger than viruses (with the possible exception of Cutters). Otherwise, your point it well taken. I think the advantage of biological agents would be that they are far cheeper and have the potential for horizontal transmission. Trust me, if DS wasn't on the "OMGBBQ TERRIESTS!!!!1!" watch list before, some random mentions of biological weapons are not going to put it there anymore. *waves hello to the NSA guys* Either that or they just build a filter to ignore DS. If not... well we are just spamming their inbox with possibilities. Hyzmarca has it right. Why kill people with an infections virus, which can lead to it spreading beyond the theater of war(killing millions of innocent civilians, and then the political oversight, and the lawsuits, well you get the deal), when you can give them a 72 hour bug that will bring them (mostly) harmlessly to their knees. As for Nanites, IIRC, they are mentioned as cell sized, or smaller. Excellent. The Wiki's back up! Shame the VITAS entry reads so poorly. The problem with VITAS in the books is that it has been applied so randomly. The UCAS chapter of the Neo-Anarchist's Guide to North America lists the fatality rate in the United States at 1/3 of the population. 100 million people in the U.S. Dead. Meanwhile Africa had a minimum 75% fatality rate. The 750 million dead in sub-Sahara alone referred to in the Wiki (which IIRC comes from Cyberpirates!) is 93.75% of the entire population. Funny how Madagascar is referred to repeatedly in that book as depopulated when their rate is only 70%. The more I think about it and how Africa's been portrayed in the last few years (since SR even, you know, bothered) I can't help but wonder if the writing's been lazy or unconsciously racist or both. That said, when the U.S. has a 33% mortality rate and sub-Saharan Africa has a 90% mortality rate (Saharan/Sahel probably didn't fare a whole lot better) it is hard to buy the 25% global fatality rate for VITAS 1 and 10% for VITAS 2. BTW, whoever did the Wiki entry can't do math to save their life. If the global population has just been reduced by 2 billion from 8B to 6B, then 10% of that is not 900 million unless the global population in a time of war, famine, pestilence and death managed to skyrocket 50% in the teens. 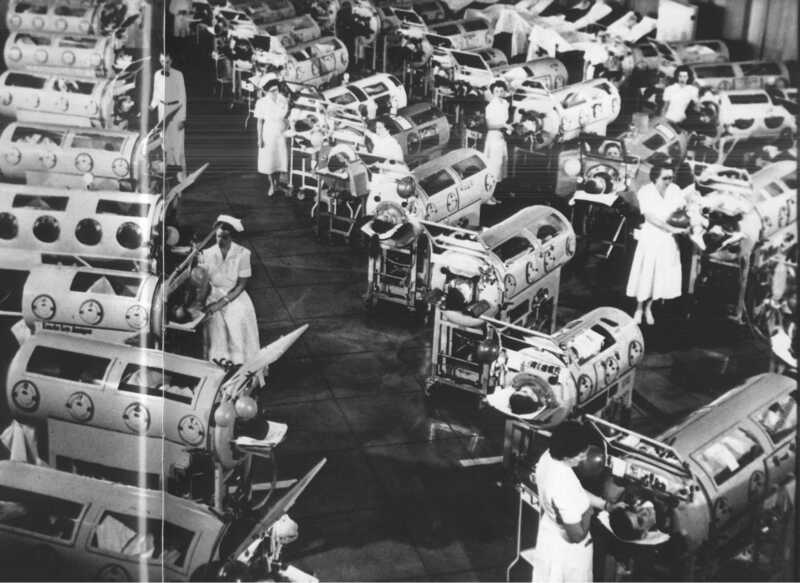 Now, it could be that the epidemic overwhelmed our limited supply of ventilation equipment (a la the polio outbreaks of yore), or that there are more complex mechanisms that could make such a fictional disease more feasible. I'm just saying that VITAS doesn't sound all that convincing as presented. The science is off. Suspend disbelief. If you want to research science, do so. It seems a frustrated exercise to try to apply science to fantasy. It would be silly to think there would be a CDC research paper for every viral in the game. Even more so on items no longer in the forefront of the culture. It may have conflicting data from conflicting canon. About the world populations: It would appear that in Fourth Edition, most countries are populated close to turn of the 21st century. Its 2070 now, VITAS was a good while ago and people love to breed. I can't help but wonder if the writing's been lazy or unconsciously racist or both. Or in the case of SR, never attribute to racism etc what can be adequately explained by laziness. The books are full of it. Like the several different years California left the US. That there are at most 10,000 Utes and at least 300,000 Navajo. Which did SR have as important and which never got mentioned? It seems a frustrated exercise to try to apply science to fantasy. Unless of course its, you know, science fiction. If I didn't want to think about how things worked I'd play the game that causes cancer. I play SR because it is fantasy AND science fiction based on the real world. Furthermore, there is nothing wrong with those of us that want to add realistic levels of detail to our games. Chrysalis is obviously looking for a level of detail not supported by the cannon to flesh out a campaign or fiction peice or what have you. So I'm offering her another perspective. If you don't enjoy the discussion than please disregard. Detail I will give you sir, that request was clear. Science Fiction and realistic I will not. Fantasy on both counts. I enjoy the discussion of the Shadowrun portion of the material. Calling science fiction fantasy doesn't make the science part go away, sir. But I too enjoy the discussion. Lets just agree that its a preference thing and leave it at that. Kanada Ten: you just sold their science better than any thing I've read in cannon the past ~20 years. I agree thatt the matter is one of preference. I apologize for any hostility. It was certainly a enthralling work. But let us not disparage the canon writers. VITAS may have been nothing more than a quick plot device to reconcile some of the changes they wanted. Still, they should of hired Kanada Ten to explain it in one column. Or they should know if VITAS were to move to the forefront of the storyline, There is something to say for brevity. Most of those which have diphenhydramine are common household remedies and are the first line of defense against influenza.